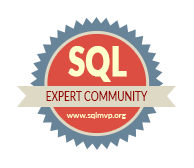 Think you have to install sql server server pack to all the SQL Server in a Server. and Attended installation takes much time and human interferance, here is a simple idea solution for it .Install SQL Server Latest Service Packs from Command Prompt. its the easiest method to implement. Before proceding please take the FULL Backup of the System databases, which are helpfull at any for ROLL backup Service Pack. once the above parameter is passed you can see the screen below. How to use Inbox Repair Tool (Scanpst.exe) in Outlook 2016?